The finished job. Not too shabby. 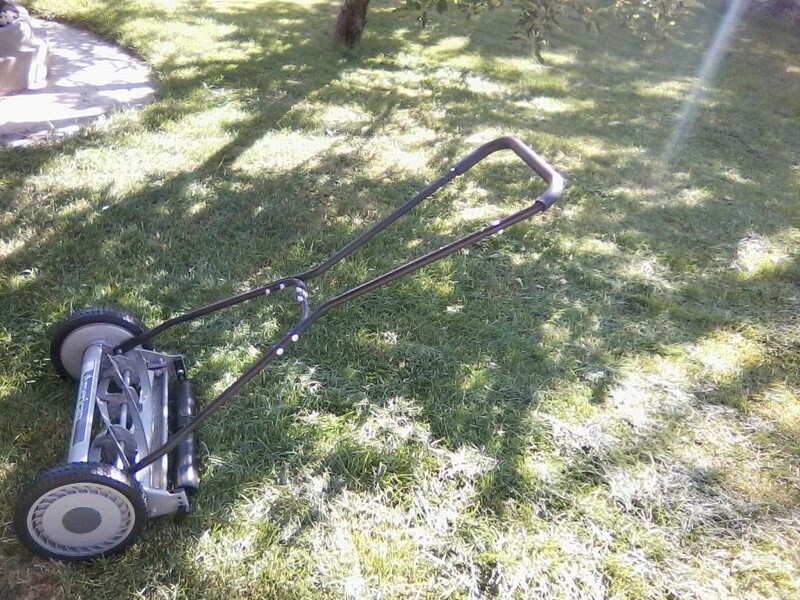 This is an old-fashioned mower that I bought new on clearance a few years back. I think I bought it for about $25. This is a classic example of one aspect of Wellness Diaries and Life Is Conscious. That is, incorporating exercise and activity as part of lifestyle. 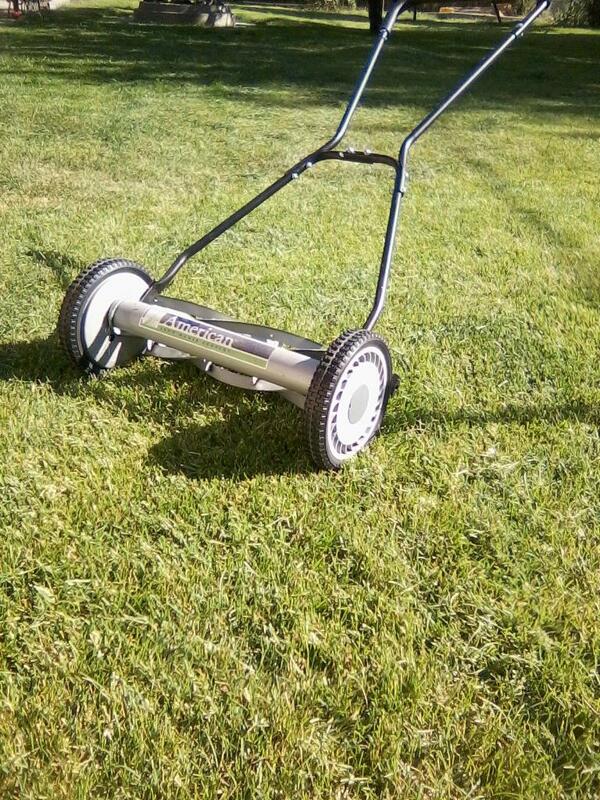 Helping my mom out, mowing her average sized lawn with this took me only an hour. It is really quite slick, as hard work goes. Hard work is good for us. The initial cost of the mower is much less expensive than traditional ones. It costs virtual pennies per month to maintain with no motorized parts. It gets much better gas mileage than the Toro and John Deere brands, so it is good for my mom-the earth also. I get my cardiovascular workout for the day (and Pectoralis major too!) It is a win-win-win. Part of the WD and LIC philosophy is that if we take something that is better for our health, chances are it’s better for the environment and our wallet also! How about that. Doesn’t that sound more like how it’s supposed to be? I sure think so. There are many ways of combining many things and adopting this philosophy into your life. This is just one example. Always remember the need for balance when applying this concept into your lifestyle, but have fun with it at the same time. Sure, an early 19th century style mower may be impractical for a professional landscaper; but for the average homeowner with a small to medium sized lawn, why not? Do you want a hint? Just don’t let the grass be too long when you try it out, you’ll definitely feel it; particularly in the Pectoralis major you know! Enjoy the journey of earth, health, and reducing expenses.